The Shrink Ray Trap is a Physical type weapon. Zap! This high-powered Shrink Ray reduces mice to miniature in seconds flat! Makes a great trap for a beginning MouseHunter! The Shrink Ray Trap is available for purchase for 45 King's Credits from the King's Arms Trapsmith, King's Cart or by donating $1.00. 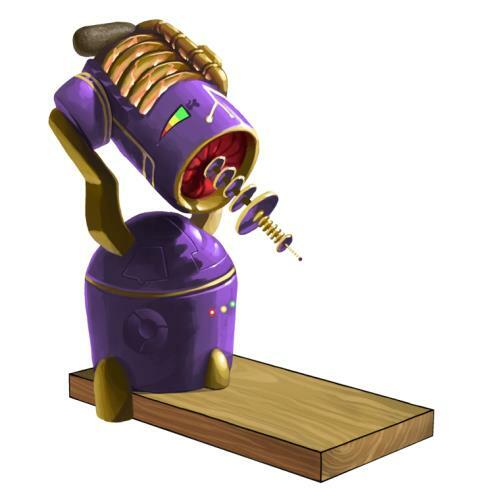 12 January 2011: The Shrink Ray Trap became available for sale on the first day of Ronza's January 2011 visit. This page was last edited on 13 January 2019, at 13:29.